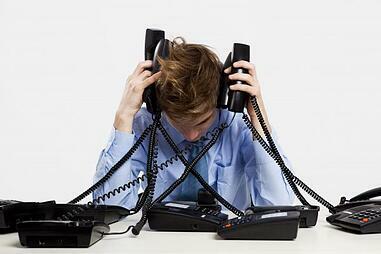 It is absurd to think that for most organizations 25%-40% of technical helpdesk calls are printer related. What if you could bring printer related calls down to 10% or less? That would mean shrinking technical helpdesk calls by between 15% and 30% depending on where you stand now. So, you could have increased helpdesk resources and response time for your users, which would impact user productivity in a positive way, not to mention better uptime for your fleet of print equipment. It’s all positive and supports having happy, productive users. Each print server in your organization typically sits on a VM (Virtual Machine), that must be maintained, licensed and secured, which cost money and takes time. Some organizations are ahead of this and have moved to direct IP printing for their users, and they have spent time and energy building out and managing device naming conventions and setting up their system so when the user goes to file, print, they can find any device in the organization. This sounds all very well , but, there is a much better way to do this. It can be really inexpensive and can enable the user to easily self-serve. IT can remove the burden of managing print servers and/or direct IP printing management, not to mention all the issues they have handled in the past around print driver conflicts, setting up new drivers for new devices and provisioning to users, not to mention driver issues around firmware changes/upgrades. IT can focus efforts on more important things! Your Managed Print Services experts should be able to help you with a managed, cloud based direct IP printing tool that gives your users access, with user rights control, to the print devices in the environment with a simple right click, and a visual floor print of building location and each floor for your whole organization. This can be implemented quickly and easily for a small one location firm, or for a global enterprise. So, the user has simple control to easily print where they want to, and the set up of print drivers for new print devices is now something your partner manages moving forward. IT does not need to be involved! Implement a new print device in a satellite location, and voila , the device is ready, set up on the floor print in the system and users can access and print with no change to the PC images in your organization. No scripts to write, no server resets, no frustrated users. To take it a step further, you can integrate and layer on a secure printing solution to get further control of your organizations device and document security and intellectual property by enabling full audit and reporting capabilities for who’s printing what, where and when, with reporting of course. Therefore, you can be compliant in your vertical for security, while protecting your organizations intellectual property, customer lists, and other sensitive data. 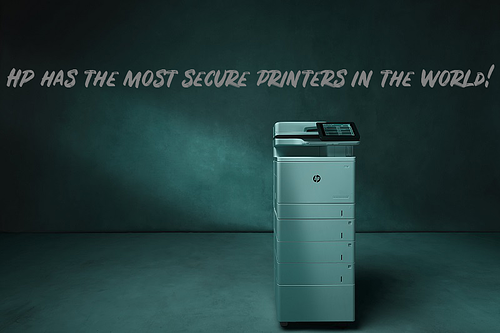 These solutions can be implemented and supported for any existing environment, and given the security issues with printer endpoints that are happening these days, I wouldn’t feel good about not adding the fact that HP makes the most secure printers in the world. While improving the print environment for the users with self access, and potentially implementing secure printing to drive reporting and compliance, we would recommend looking at creating device standards that enable the printer endpoints to be hardened to limit the risk of cyber attacks. All of this may sounds complex, but in fact is quite simple.